Before we get into the topic of Vegetables That Boost Metabolism. I would like to briefly discuss what metabolism is on a basic level. Now I realize that most of you already know the answer, so this will not take long. So without getting to scientific on the matter of metabolism. 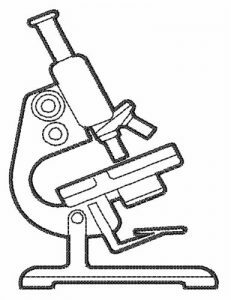 It is basically looked upon as the sum of all chemical reactions that occur with in a living organism. However to most of us every day people, metabolism is more often thought of as the energy that we use for our daily activities. And also the way in which our bodies burn and/or use calories. 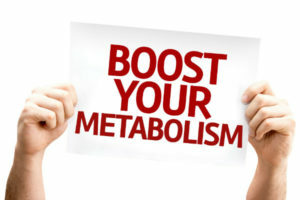 While the fact of the matter is, your genetics play the primary role in determining your metabolism. There are ways in which you can help speed your bodies metabolism up. In fact all of us do have some control over our metabolism, and it is simpler than you think. Our ability to maintain a good metabolism comes in the form of our diet and our activity level. While diet does play a major role, you will not be able to lose weight or maintain a healthy weight without some physical activity. The human body, in itself, is not designed to be over weight or to carry extra baggage. So much of that problem is found in the way we live and the foods we chose to put into our bodies. Of course there are some situations when medical factors do come into play. And they have a direct effect on our metabolism. However that is probably not the case for most people. 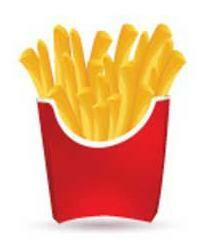 When we eat food our body does burn calories as that food is digested. However, there are no definitive studies that prove that the digestion of any one food uses more calories that the food itself contains. Some people may argue that thought, and they often use celery as the example. But that claim has no scientific backing to this point. So that is why we need that all important exercise and activity in our lives to help burn off those extra calories. Eating vegetables that are high in fiber, which is an indigestible carbohydrate, does force your body to use more calories in the digestion process. Therefore giving you a slightly higher metabolic boost. 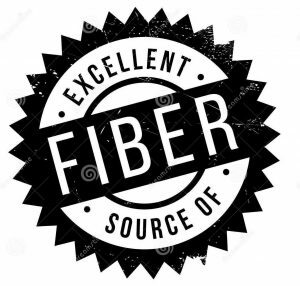 Also the fiber you consume in your diet may cut back the amount of calories your body absorbs to begin with. Eating the proper amount of dietary fiber found in vegetables may help fill you up faster than other food choices. They will also keep you feeling full longer because they are harder for your body to digest. As a result they will lead to eating less over all and and allowing our metabolism to work for us. A great little bonus is that vegetables are rich in active calories allowing you to eat as many as you want, guilt free unlike some other food options. Okay so we have covered the basics of metabolism, and we have touched on fiber and calories a little, so now let’s take a look at some vegetables that will give you that slight metabolic boost you are looking for. 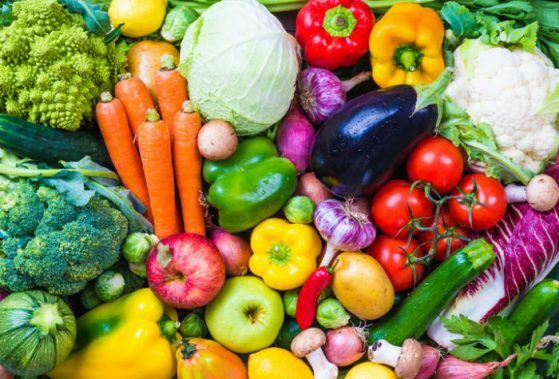 While all vegetables contain fiber, and are automatically digested at a slower pace, thus using more calories during the digestion process, some vegetables stand above the rest. Here is a list of the vegetables that you definitely want in your shopping cart! Asparagus – This nutrient powerhouse is one tasty veggie, try it sauteed, steamed or grilled! Spinach – This bad boy contains the highest level of protein of all of the leafy greens! Hot Peppers – Habaneros, jalapenos, and chipotles all pack high levels of capsaicin, which has the ability to torch belly fat! Tomatoes – Is this one a fruit or is it a vegetable? Who Cares! They are low on calories and high on antioxidants! Broccoli – Your parents were right, this one is super good for you! It is loaded with the vitamins and minerals you need! Chilled Potatoes – Potatoes? Yep! But ya gotta chill them, this turns them into a resistance starch, and that is a good thing! Cauliflower – This crunchy cruciferous veggie packs a great thermogenic punch, meaning it is gonna cost the calorie bank! Sweet Potatoes – The magic is in the carotenoids, antioxidants that stabilize blood sugar and lower insulin resistance! Brussels Sprouts – I know, I know, but these little gems are loaded with nutrients and they will fill you up ,not fill you out! Carrots – High in fiber, low in calories, this is like having an ace up you sleeve! That said, you can not go wrong with any vegetables that you may chose to add to your diet. This list is just a starting point, and contains some of the most beneficial veggies in regards to our metabolisms. Need Some Great Recipe Ideas? So now you have a starting point on which vegetable to add to your diet that will benefit your metabolism. If you would also like to get some really tasty cooking recipes that were all created to help you boost your metabolism, or more information like this. I would like to invite you to check out our review of the Metabolic Cooking Cookbook. It is packed with over 250 amazing recopies that will help you achieve your goals for better eating habits and an improved metabolism. Don’t put it off, check it out today! 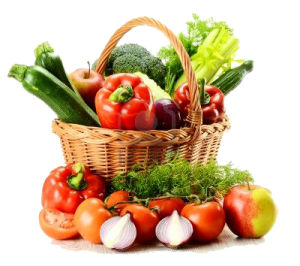 I want to thank you for reading my article on Vegetables That Boost Metabolism. If you have any questions or comments please leave them below and I will respond to you as soon as possible. A List of the top metabolism boosting vegetables. 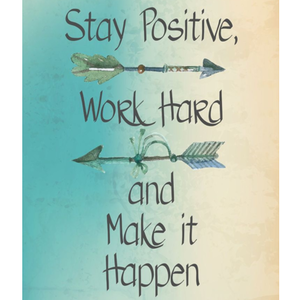 Previous Post Previous post: The Law Of Attraction – Does It Work? Next Post Next post: Buy The 3 Week Diet System – Here is Our Review! Hey Bruce: Great post. I have to say that as much into nutrition that I am these days, you mentioned a few things that I didn’t even know. I’m type 2 diabetic and have been learning a whole lot from changing how I eat and what I drink. The first thing I had to do was cut the sugar in my diet. Some veggies have more sugar than others, but a veggie is a veggie. You mentioned the sweet potato and how it is good for diabetes and stabilizing blood sugar. I love sweet potatoes with real butter but had no idea that they were good for what ails me. I do agree with you and disagree with many diets that I have read out there on the internet dream land about following a certain diet and never having to exercise to lose weight. This is an impossibility at its finest. You will never lose any significant amount of weight without boosting the metabolism for a lengthy period of time and the only way to do that is by exercising. Years ago I went on a kick to lose 80 lbs and I did it but I was doing an hour of aerobics per day. After about a month of doing high end aerobics, the weight just began to fall off. I got pregnant again and gained the weight back and haven’t gotten back into the skinny game again yet. Age has a whole lot to do with it too I think. A person at age 60 will have a harder time losing weight than someone at age 40; at least I think this is the case. I loved what you had to say about eating Brussels sprouts! I cannot stand them but I thought I should give them one more try by possibly grilling them with olive oil and some garlic. The only way that I’ve ever had them was steamed and I think I gagged on the way they felt in my mouth. I figure that even with the way that they taste, they have to be good for you because it’s so bad. But I have committed to trying them one last time. I have never heard of chilling potatoes either before eating them. I know that you chill them in potato salad but who ever eats cold potatoes? This was a great post and I hope you do really well with your goals here. Thanks for taking the time to write such a great post and helping people to lose weight. Diabetes has run rampant in the world and is currently over 410 million people world wide. Imagine that? I had no idea there were 410 million people affected by Diabetes, that is an unimaginable number! You can eat as healthy as anyone, but if you are not burning the calories, they just get stored away. The flip side to that is, you can exercise all day, but unless you fuel your body properly, it is all for not. It is of the utmost importance that we keep a good balance of diet and exercise. I know we have all heard that our entire lives, and that is because it is true! Now when it comes to overall weight loss, our diet does play a large role because it does you know good to run five mile and then eat a cake. This is where the metabolic boost comes in, we want our body burning those calories, and after a good workout you have to feed it good fuel. I am glad I could point out a few things that you did not already know, it is nice to help someone who already has a vast knowledge. Also try roast your Brussels Sprout in the oven, simply slice them in half then drizzle that olive oil and garlic over them as you mentioned, that is my favorite way to eat them. Rene, be sure to check out my review on the Metabolic Cooking Cookbook, it is full of great recipes to eat for metabolic support and weight loss. And believe me when I tell you that this is way more than just some cookbook! The creators put this together as more of a road map to living a different life style. Because, to be honest, the only way to achieve true lasting results, is to change the lifestyle we currently accept! Rene, Best Wishes to you my dear, and best of luck on your quest! I have learned the value of eating healthy. I make sure that I detox at least every 2-3 months or so. I love this article and I will be on the look out for more articles form you. I thoroughly enjoy your site. And I am so glad for the variety of information that you share. You manage to cover mind, body and spirit! Glad to hear that you are on top of your health! Far to many people do not take care of themselves until something is wrong. i am very happy to here that you enjoy our site, we are here to promote health and wellness to our users. to bring balance to our bodies and minds, in turn nourishing our spirits and souls! I believe that a proper balance is one of the major keys to a happy life, and we wish to share that with all we can. thanks for leaving us a comment we love to hear from our visitors! Brendon, I’m not really into eating plenty of veg, it must be my butchery background, I’m definitely a meat kind of guy however I do understand the importance of eating more healthier fruit & veg to increase metabolism and accomplishing a daily exercise routine to become more healthier, this is something my wife & I have taken on-board. We purchased a juicer due to my veggie dislikes and place spinach, carrots, tomatoes, broccoli, you name it, the fridge gets constantly cleared. We mix this veg with kiwifruit and it blends into the most wonderful tasting drink to which I adore. Do you juice veg? I think by not cooking the veg it’s even healthier plus we go for a long walk daily after finishing work. Thanks for your inspiring article, I think we may try adding some hot peppers next time to give the drink more kick. So you are a butcher, I have to say thank you as I to am a meat person. You will be happy to know that lean meat and protein are also very good for boosting our metabolisms. While juicing is a pretty good thing, you do lose the benefits of fiber when you juice. That is because you lose the actual veggie itself. If you do not like eating vegetables you should try an emulsifier, it is like a blender on steroids. and it turns the entire vegetable into a drink. While cooking vegetables does release some of the nutrients, but that also depends on how long you cook them, the less the better. 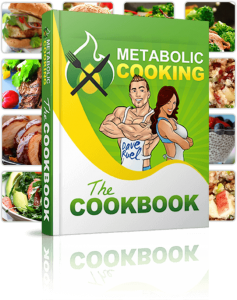 Simon I would like to invite you to check out the Metabolic Cooking Cookbook review, it will give you some great info on an amazing cookbook, and it will show you where to get it. Simon to check out the cookbook just click the link I have left for you above. Great post, very informative! I didnt know sweet potatoes helps balance blood sugar and insulin resistance. I will add this into my diet more often now that I know that. Spinach is great too, I add it in my smoothies for a protein boost! I wonder what sweet potatoes would taste like in my smoothie? Love my veggies! Glad we could open your eyes to the wonderful benefits of sweet potatoes! I think your way of sneaking spinach into your diet is great, I may have to try that one myself. If you like smoothies then may I suggest that you check out the Metabolic Cooking Cookbook, the have over 250 incredible recipes that cover everything from breakfast to dinner, including smoothies! You can check out our full review by clicking here! Best wishes to you Dawna, and keep up those great eating habits you have going on! I found your article to have a lot of useful information. Boosting your metabolism by eating certain vegetables sounds like a very enjoyable task to undertake. As I look at your list of vegetables I noticed my favorite vegetable is on that list – spinach. Question – Would Swiss Chard be the equivalent to spinach? I find it grows better than spinach in my garden so I tend to stick with it. I also found it rather interesting about the potatoes being chilled. Does this apply to the sweet potatoes too? In regard to you question about sweet potatoes, you do not have to chill them, although you may if you so chose to. The contain far more antioxidants than regular potatoes, and their real value comes in their ability to stabilize blood sugar and lower insulin resistance. On to your other question, Swiss chard is a member of the Chenopod plant family, which includes spinach, so you will get about the same benefits from Swiss chard as you would from spinach, even better is to have both in your diet as they both are packed with antioxidants that also help to battle inflammation within the body. 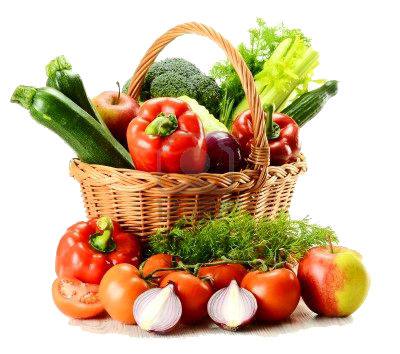 As I had mentioned in the post, you really can not go wrong with any vegetable, they all have benefits of some kind and the dietary fiber found in them will help to keep you full longer, so you won’t be tempted to snack between meals. If you do need a snack try carrot sticks, they are filling easy to keep on hand and great for your body and metabolism! Thanks for visiting our site, I hope this helps you out, if you have any further questions please feel free to let me know. While i am not a fanatic of healthy foods, I do always enjoy reading about different ways of controlling your weight through your diet. I enjoy getting everybody else’s opinion on the different foods that help control your metabolism. 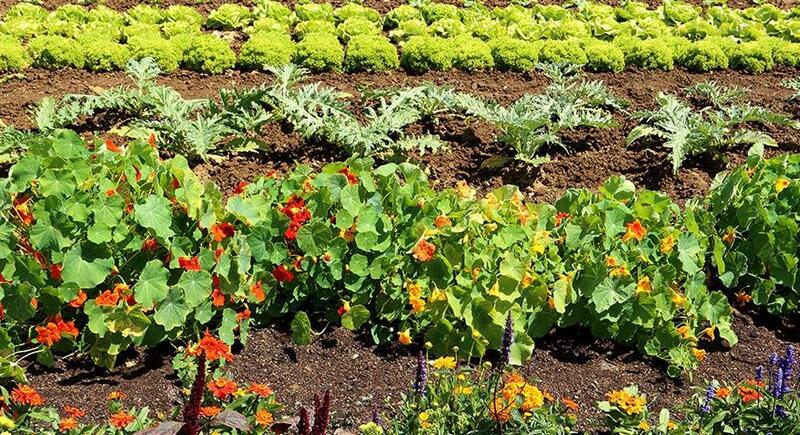 I think this article was very informative and it has very nice title paragraphs, the pictures are great as well as the listing of each of the vegetables with the description of what it does. So, ultimately I guess, I enjoyed this article. it is kind of catchy , i liked the way he put pun’s on the titles.. Thanks for the compliments on the site, I am glad you enjoyed your visit! You are not alone in regards to not being a fanatic of healthy eating, but it is your body, you do need to take care of it. There are many ways to work the healthy stuff into your diet. Many of them being much more tasty than you may think. You should definitely scroll back up and follow the link to the Metabolic Cooking Cookbook. It is packed with great recipes that will blow your mind! I didn’t know that vegetables have fiber in them, and that this could speed up my metabolism. WOW! I will refer to your list of vegetables next time I go shopping, and will definitely include spinach and cauliflower. I need all the help I could get…! Cannot wait to download the Metabolic Cooking Cookbook. Oh yes vegetables have fiber, and that is why they help with weight loss. You see fiber is much harder for your body to digest, it keeps you feeling full longer, so your body work harder to break them down and you eat less. You are going to love the Metabolic Cookbook, it has a ton of great recipes for you to enjoy! Amy be sure to get those veggies in, beyond weight loss they are all packed with nutrients the body needs. Check back soon Amy, I have a handful of more posts like that coming soon!